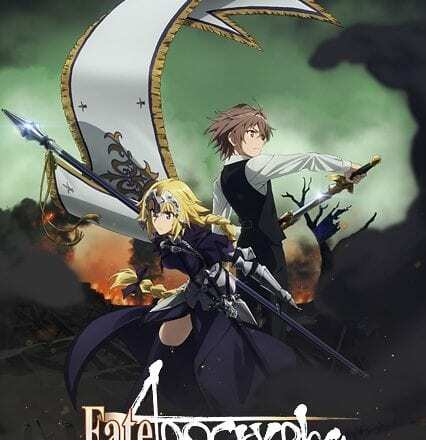 As a fan of Fate, I was so crazy about the news about the Fate/Apocrypha would turn into TV series. The pv of it is quiet exciting. The 7 vs 7 war between Red and Black fraction! The souls present will be doubled compared to common fate series. The emotional story like Fate/Stay Night! All of this looks great, right? To be honest, Fate/Apocrypha is quiet a disappointment. As listed above, one of feature of Fate/Apocrypha is it has doubled the souls who will present. However, the story eliminate it. At the beginning of the Anime, the story use a subtle way to eliminate 5 masters of the Red side. Then, several souls that is not very popular is forced to quit the story by the writer. It is very wired that we all know all the souls are heroes when they alive and worth to be detailed described. But this time they just disappear before they left a deep influence on us. I have to say the male lead Sieg in this anime is the most annoying character in recent animes I have saw. It should account for the low rank of Fate/Apocrypha. I can understand the anime want to shape a innocent people, however, it failed. 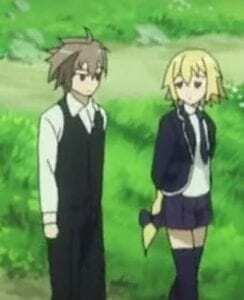 The anime try to explain the behavior of Sieg by the external logic. However, when we want to shape a character, we should use the emotion to move the audience. And a key word around Sieg is present, which makes him annoying. His story is be made up of many present by others. The heart, the servant, the weapon, and so on. It seems that he pay no effort but just accepting present from others. The biggest “present” Sieg received is the love from Joan of Arc, the female lead of this anime. However, it is also a failure. Joan of Arc is ruler in this anime, which means justice. However, I think the love story between is Joan of Arc and Seig is pretty good. 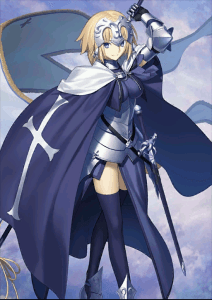 However, it also gives me a feeling that Joan of Arc will give up her discipline because of her love. Joan of Arc, do you forget you are a ruler? 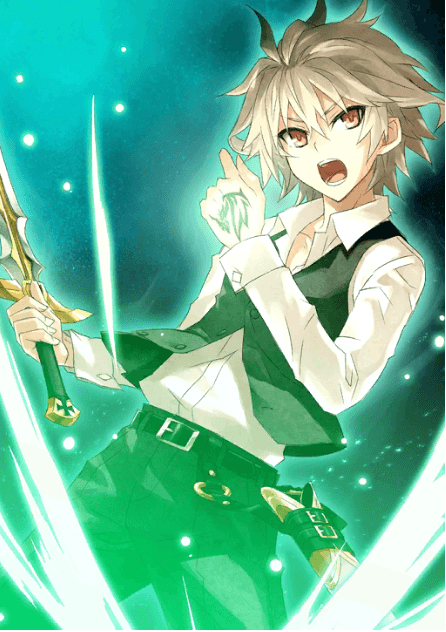 Some picture in Fate/Apocrypha makes me really wonder is this picture is created for fun. It gives me a feeling that the producer didn’t work seriously on that. 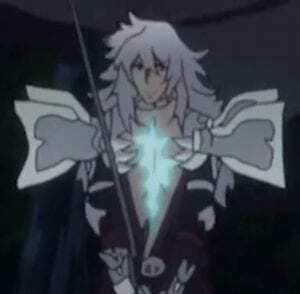 All in all, Fate/Apocrypha is not a successful work. As it is a series of Fate, I have a high expectation on that, however, it lets me down.